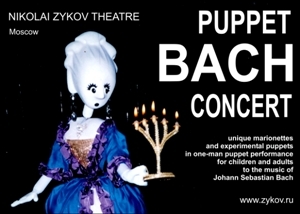 Nikolai Zykov Theatre preserves and develops the art of puppetry based on the ancient traditions of different countries of the world by using innovative materials and technologies. 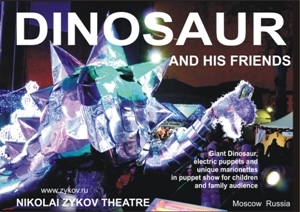 Nikolai Zykov Theatre offers puppet performances for adults, children and family audience, master-classes for professionals and puppet lovers. 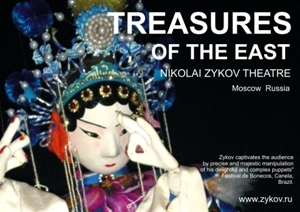 All performances of Nikolai Zykov Theatre are wordless, can be presented on stages of any size, have minimum time for set up, have only 1 to 3 members of personnel and have no additional expenses for luggage. 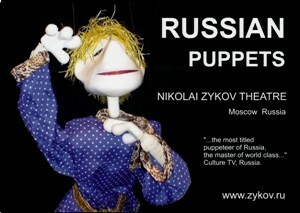 Nikolai Zykov is a world famous puppeteer who has performed his puppet shows in more than 40 countries of Europe, Asia, Africa, North and South America. 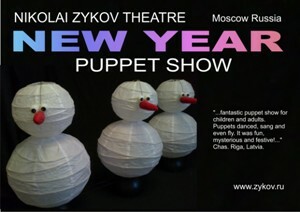 Nikolai Zykov has created and has made more than 200 unique marionettes, hand, rod, radio-controlled and innovative puppets. 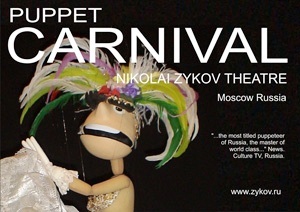 Nikolai Zykov is an author, director, artist and performer of over 20 puppet performances which have received many international awards for innovative creativity and outstanding performing mastery, including Awards of World UNIMA Congresses.